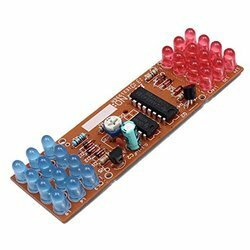 We have varity of hobby electronics projects for students & engineers .Electronics kit are supplied with set of components , PCB board & work instruection . All the projects are tested verified design. 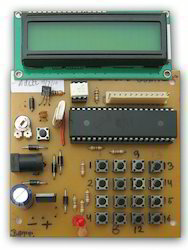 Useful for students & engineers to understand the conceots & feel the electronics . VR1. The voltage across LDR1 depends on the light intensity. 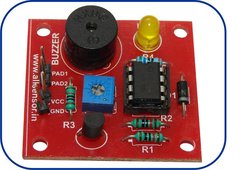 In daylight, LDR1 has low resistance and the input voltage to the threshold comparator goes above 2/3Vcc and its output becomes zero, and the lamp remains off. 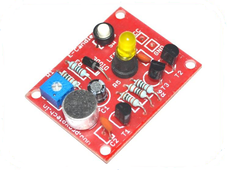 At sunset, the resistance of LDR1 increases, and the voltage at the input of the threshold comparator decreases below 2/3Vcc and that of the trigger comparator goes below 1/3Vcc. As a result, the outputs of threshold and trigger comparators go high. Thus it completes the power supply to the lamp through triac1. LED1 glows to indicate the high output state. 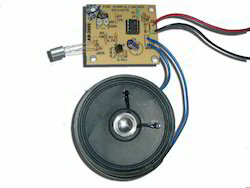 We are engaged in offering Musical Door Bells, these musical door bells are available in different tunes for our valuable clients to meet the demands of clients. These musical bells are made of higher quality bronze alloys. 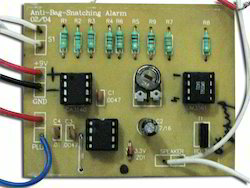 We are manufacture and exporter of Fire Alarm Systems, a higher grade raw material used in this alarm. The fire alarm systems sense if there are any dust or smoke in environment and ring. We offer it on market leading prices. 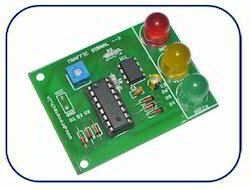 This is a simple circuit to build a traffic signal using an IC 555 - Timer and IC CD4017 – Decade Counter. In a Traffic light there are three different color LED which are Green (Go), Yellow (Caution) and Red (Stop). 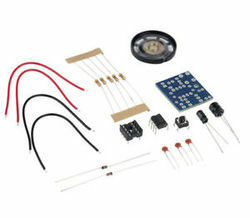 Here IC 555 is used in Astable Multivibrator Mode. 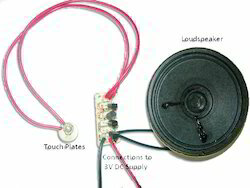 The timing of signal can be adjusted by varying potentiometer. This is an easy to use fire alarm. 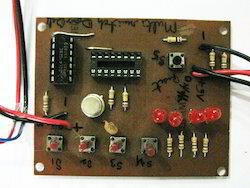 The circuit uses an NTC as a temperature sensor. As this temperature around NTC increases its resistance decreases. 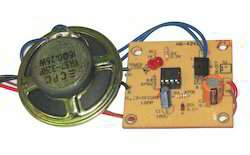 A potentiometer is used to provide a reference voltage. 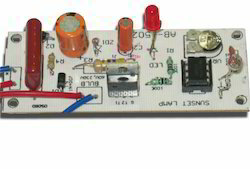 As the temperature around NTC increases, a voltage drop occurs which drives a transistor in turn activating the buzzer & glowing the LED.